I know that this is a Flog, but I wanted to start off by sharing more about myself and my family. I am very blessed to have a wife who withstands and supports me with my crazy ideas. While we play catch up with Atticus, our wild four year old, and Winter, our little redhead baby girl. Last December, when Rachael and I welcomed the wee baby Winter into this world, We both had to adjust our daily routines. So with a recovering wife, a then 3 year old Atticus, and a newborn Winter, I took over cooking dinner and some of the household chores. Cooking is something that I’ve always enjoyed doing growing up and has slowly become my passion over the last few years. Once Winter was born, something changed and I just started trying new recipes and learning new techniques to impress and surprise Rachael. I also found a love for smoking and grilling everything…and all the cool accessories that come with it. It was only when I started sharing my creations with family and friends, that I gained the confidence to create this blog with the support of my wife and family. Rachael is a strong woman who is one hell of a baker. Along with her love for writing makes her an awesome partner in this adventure of entering the world of food blogging. She also has to put up with me, which is a chore in itself. I have a full time job and a part time job. Rachael also works full time. Between our crazy schedules, and crazy children we still find time to make these meals. So with that going, on the plan is to have two delicious meal components a week for you all. I am hoping to show that cooking can be easy and fun with family and friends. 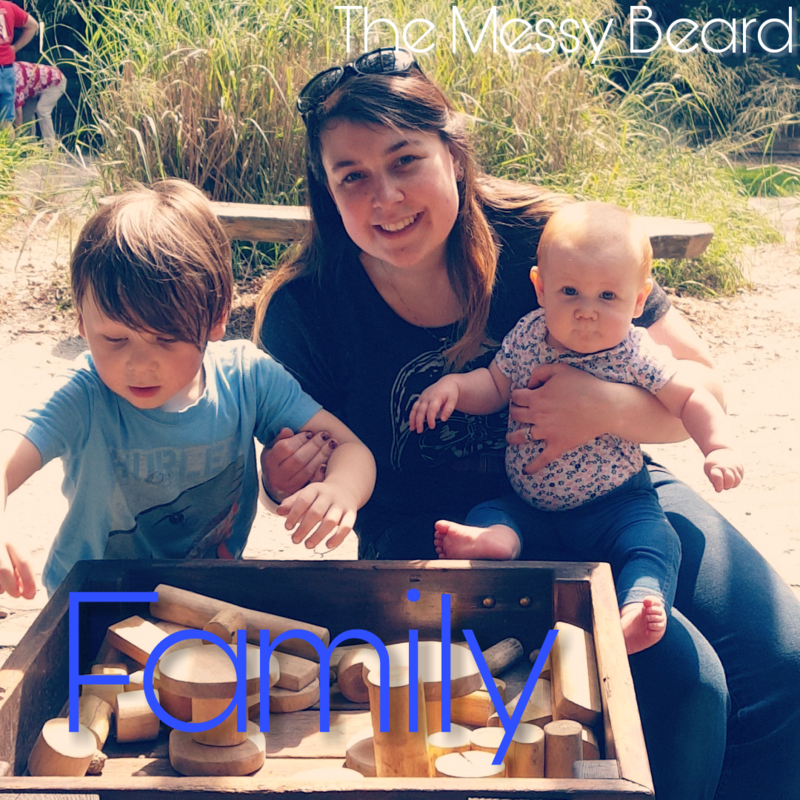 Although this is The Messy Beard Food Blog, it’s a family effort. Rachael will snap them photos, Atticus will crack the eggs and mix the batters, and Winter will be cute and cuddly. Feel welcome to contact me with any questions or requests for future meals to highlight. So from my family to yours, I welcome you to the Messy Beard family. Let there be good friends, food, fire, and maybe a brew or two. Let’s get this shiz going! Hey watch your mouth! Think of the childern! Welcome aboard A.J.! I know a certain someone that could use some tips about the smoker we have 😉. Thanks! And yeah any time you guys need help you know where to find me. Looking forward to your work! Great job! I just nominated you for award. Thank you!, I’ll accept it!